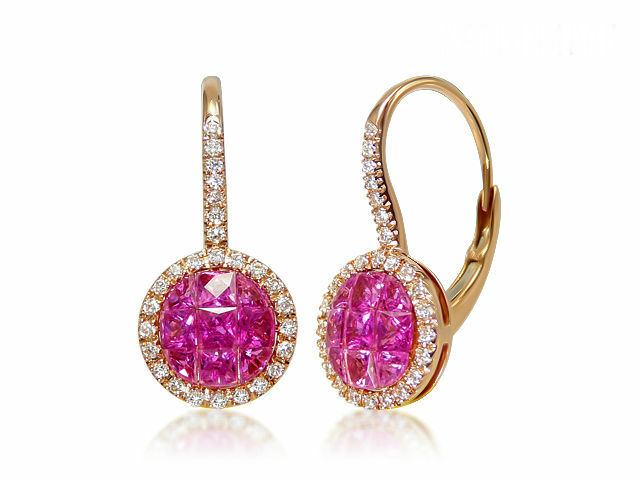 American Gem Society Blog | Consumer Protection Since 1934. The highly-anticipated award season may be over, but keep these glamorous ideas in mind for your next special event! 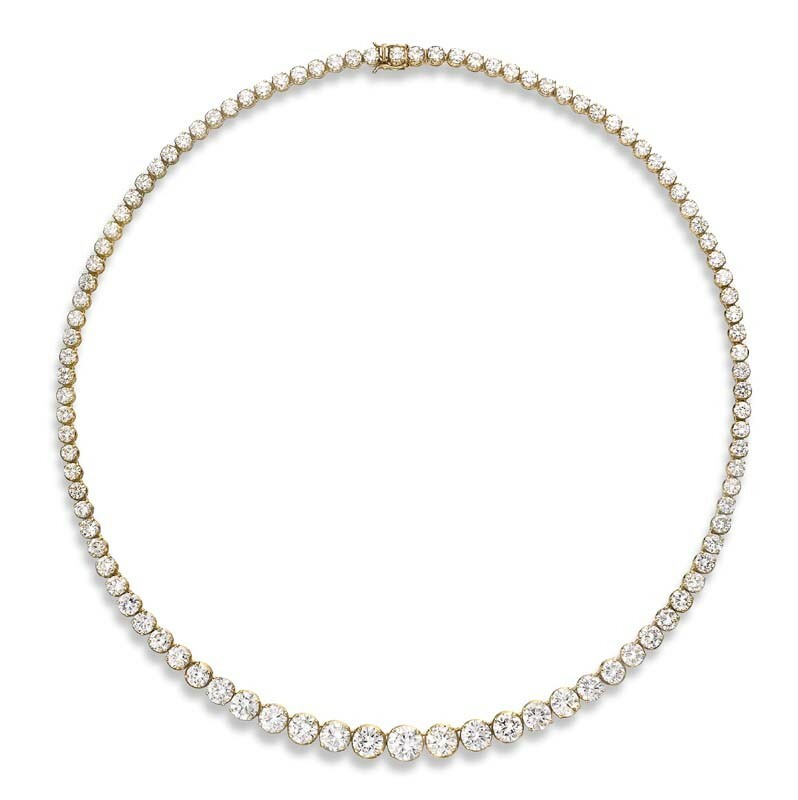 Hair jewelry, drop earrings, statement necklaces, a mix of vintage and modern, and of course, diamonds, were big at the Oscars. 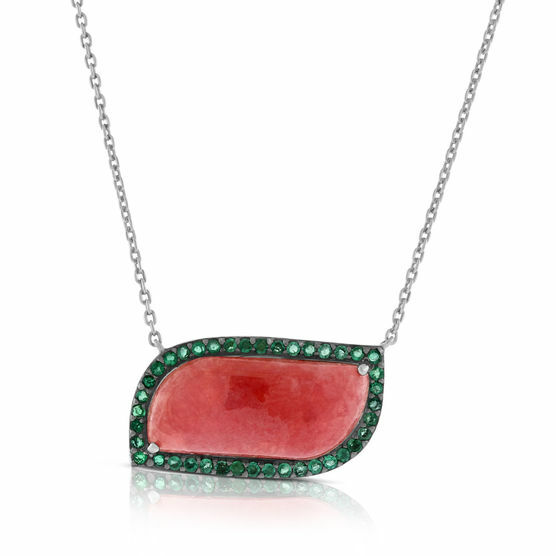 Here are a few pieces from American Gem Society members that will surely turn heads! 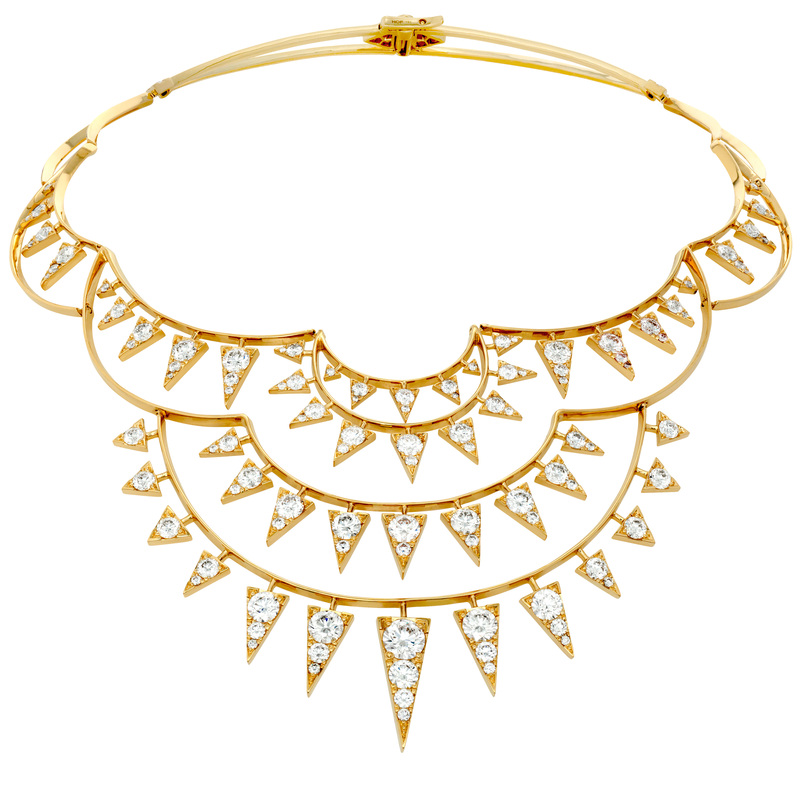 Triplicity Golden necklace, by Hearts On Fire. 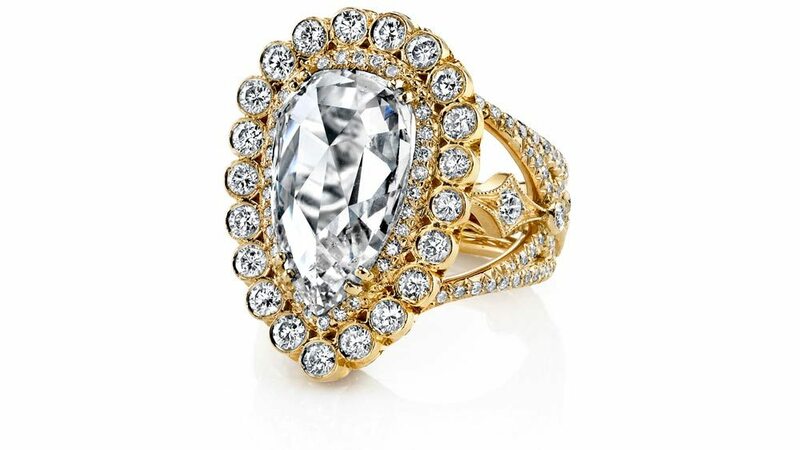 A bling worthy diamond ring, by Rahaminov Diamonds. 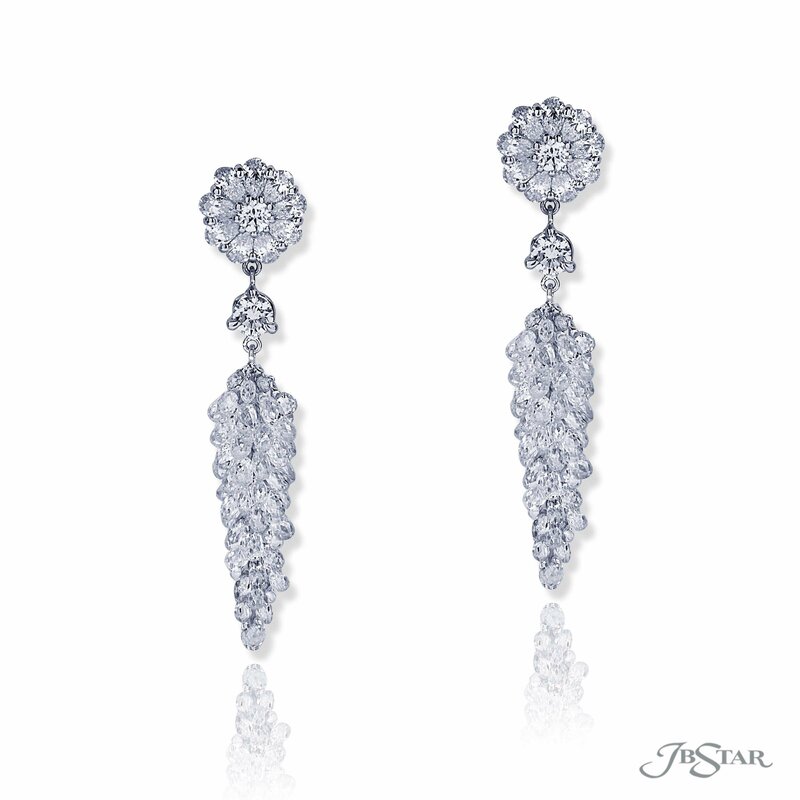 Briolette diamonds dangle from two pear shape diamonds and round diamond studs, by JB Star. 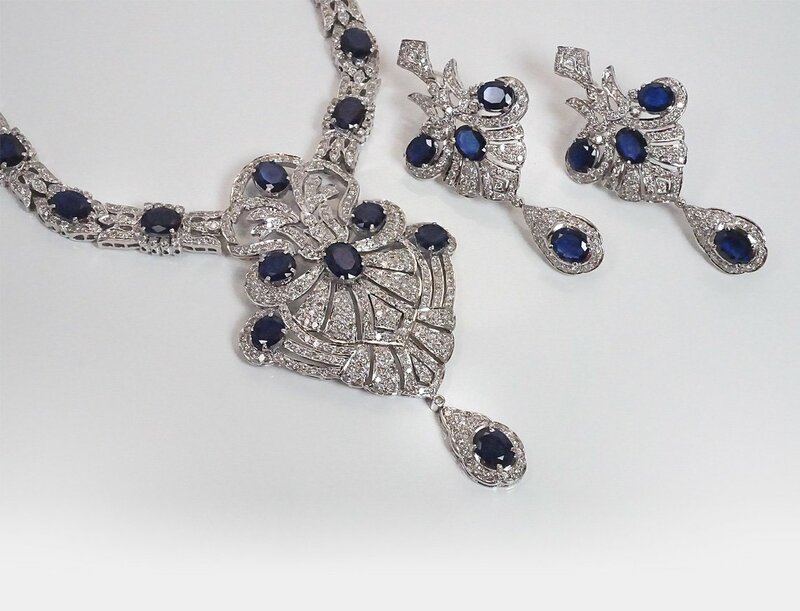 Dramatic vintage sapphire and diamond necklace and earring set at Gleim Jewelers. 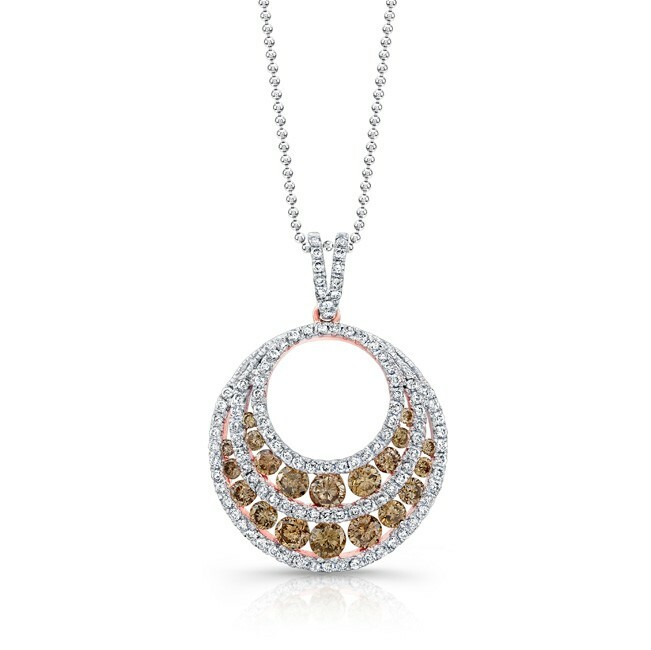 Diamond Riviera necklace, by Jeffery Daniels Unique Designs. 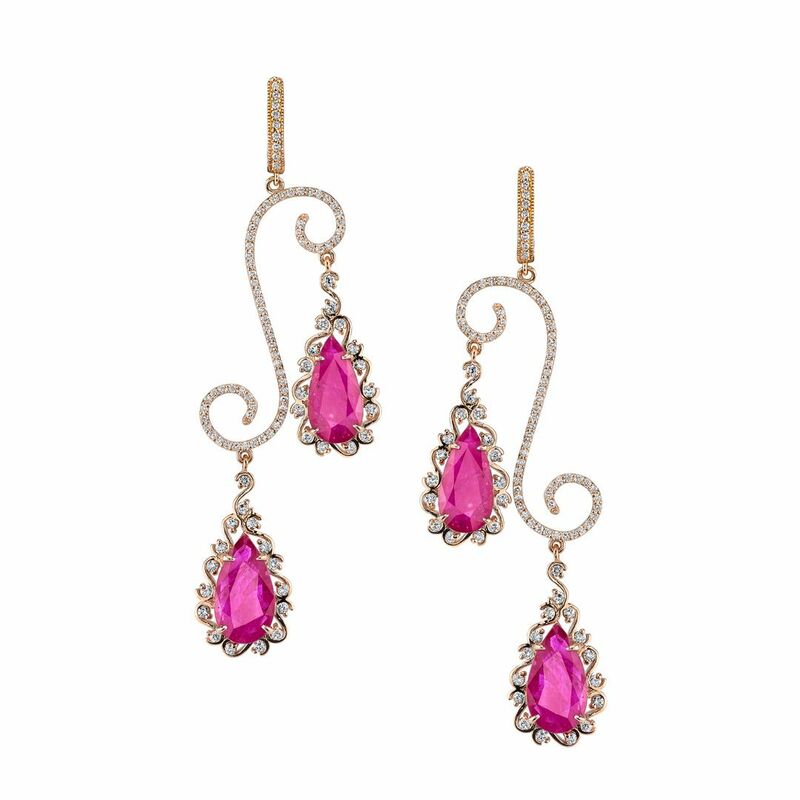 Elegant mobile-like earrings featuring Mozambique rubies and diamonds, by AG Gems. 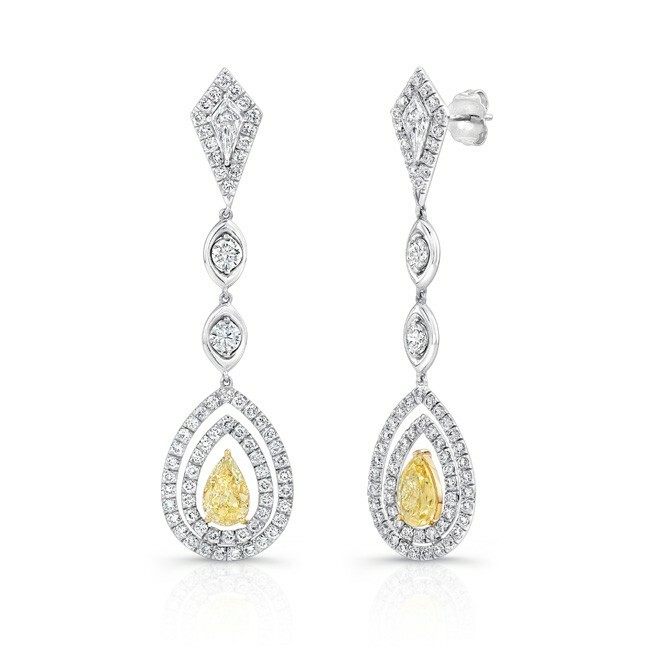 Pear shaped diamond dangle earrings with teardrop “floating” yellow diamonds, by Uneek Fine Jewelry. 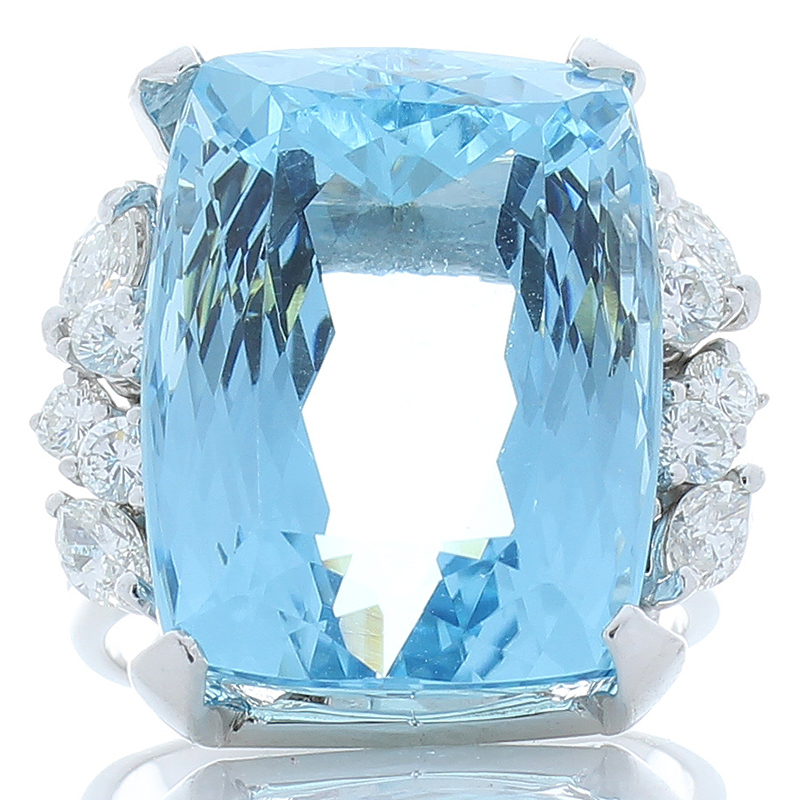 A 30.63 ct aquamarine ring flanked by diamonds, from Atlantic Diamond Company. 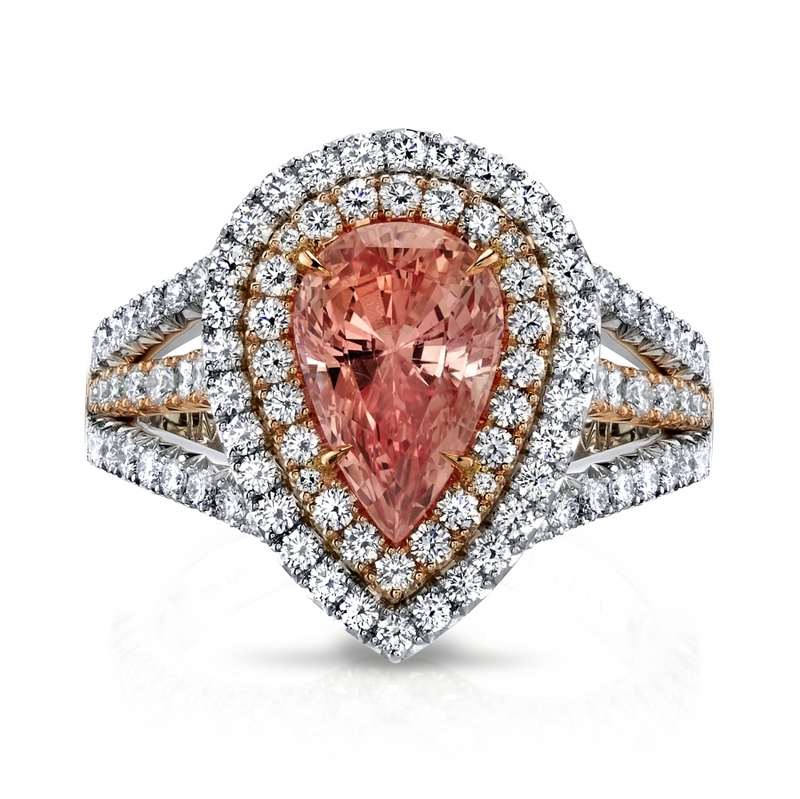 The “Nirvana” ring, featuring a 6.34 ct rose cut diamond, by Erica Courtney. 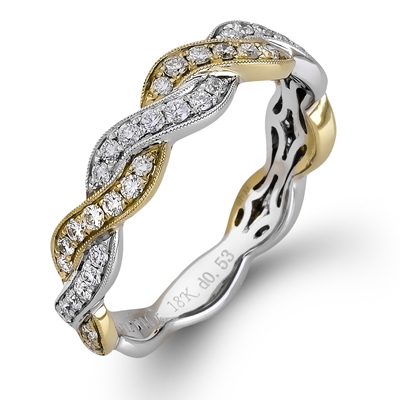 Tips from Jewelers Mutual: Should You Insure Your Engagement Ring? When you become engaged, you have so much to plan for! It’s a healthy mix of love, excitement, and anticipation for what has yet to come. 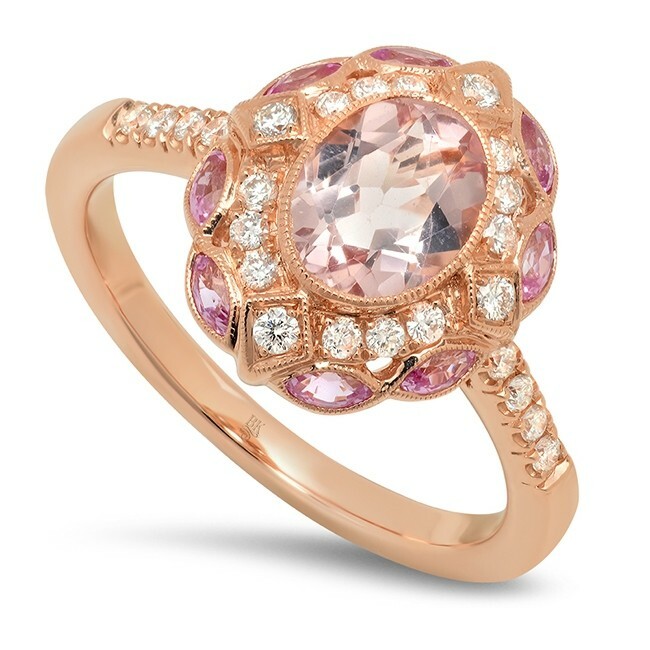 And now that you have purchased the engagement ring, do you have plans to insure it? Jewelers Mutual Insurance Group has created an informative (and fun) flowchart to help you decide whether to insure or not to insure. Click here to learn more! 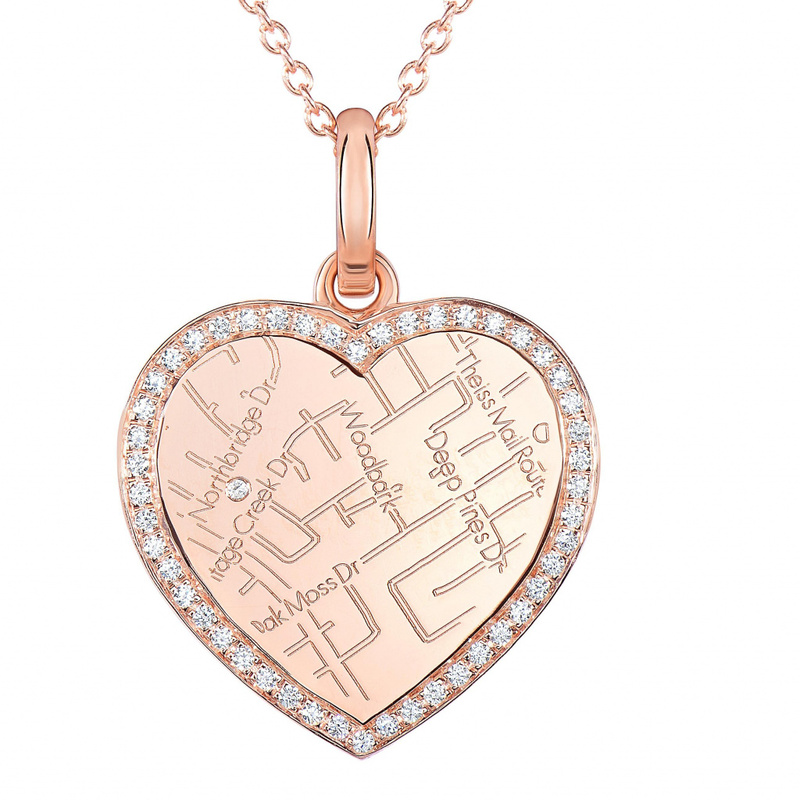 With the holiday shopping season here, the American Gem Society (AGS) has been receiving questions from shoppers seeking jewelry buying tips and secrets. We thought we would answer a few of our most frequently asked questions to help ease the pressure off this hectic season. 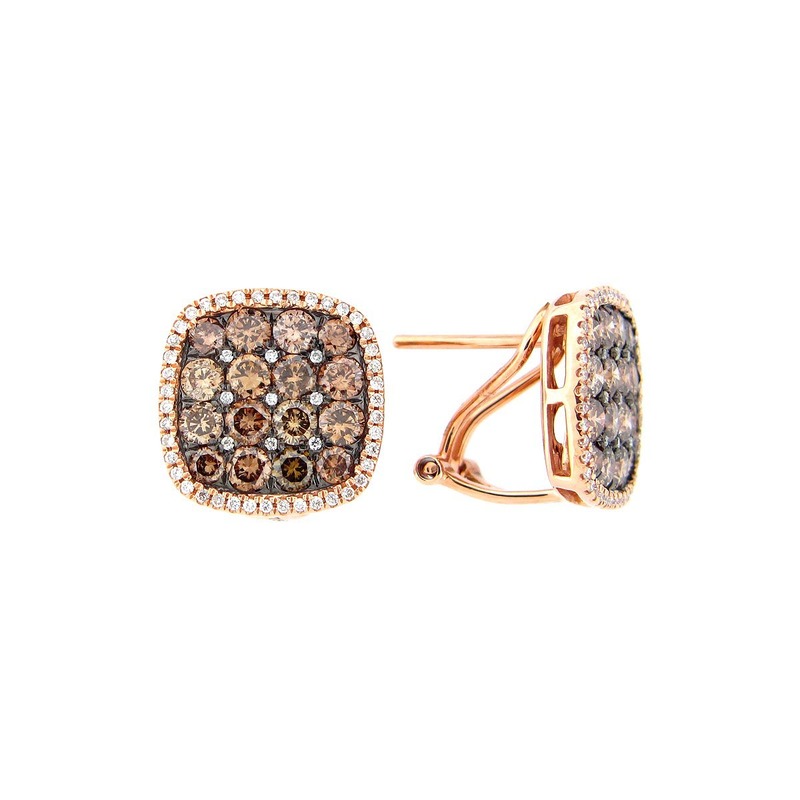 Trust your jeweler. 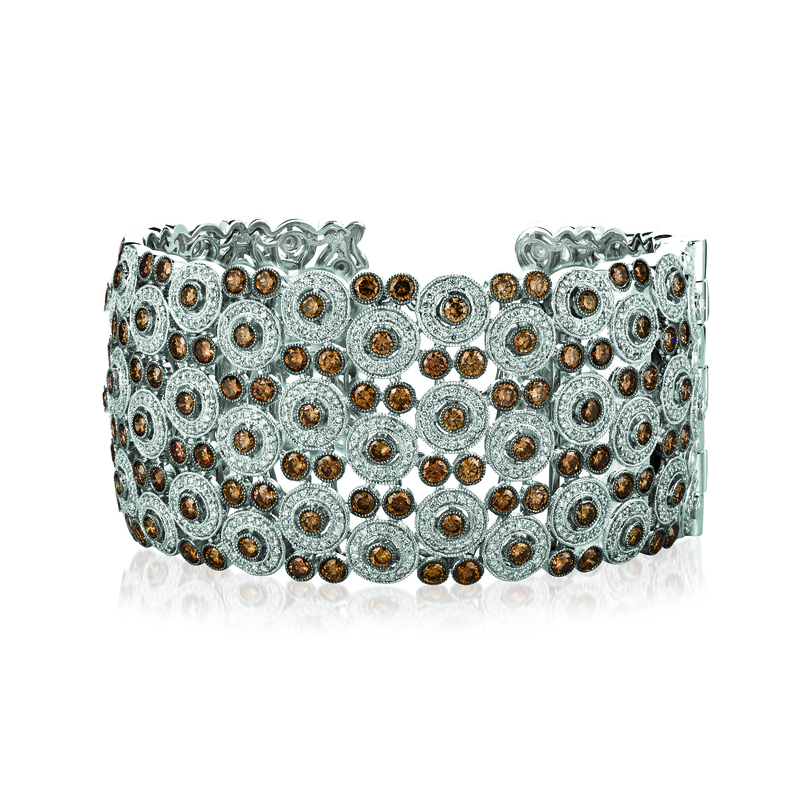 Do your research, read reviews of their store, ask friends and shop with a credentialed jeweler. We take great efforts to vet all of our members, to make sure that they continue their gemological education and that they adhere to the AGS standards of ethics and integrity. 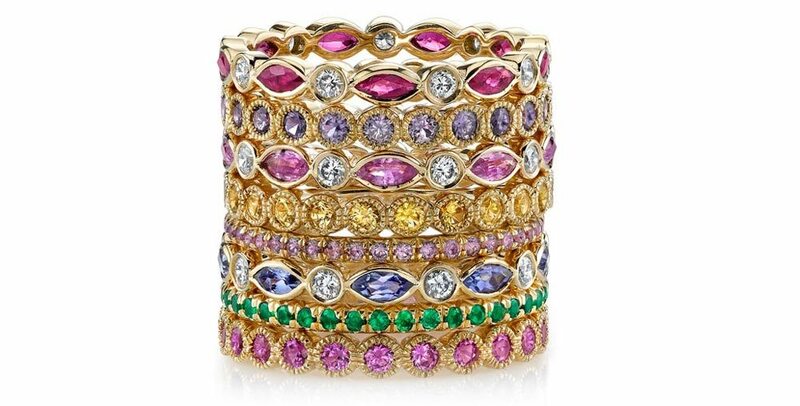 Click here to learn more about the importance of shopping with a credentialed AGS jeweler. 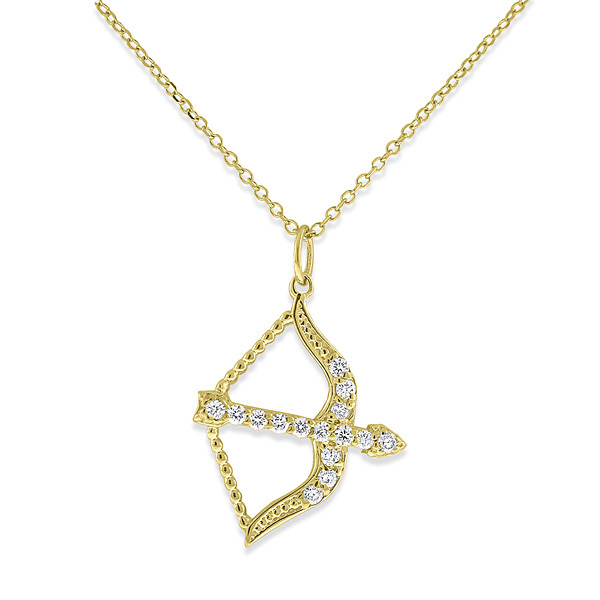 To find an AGS member jeweler near you, visit americangemsociety.org/findajeweler. 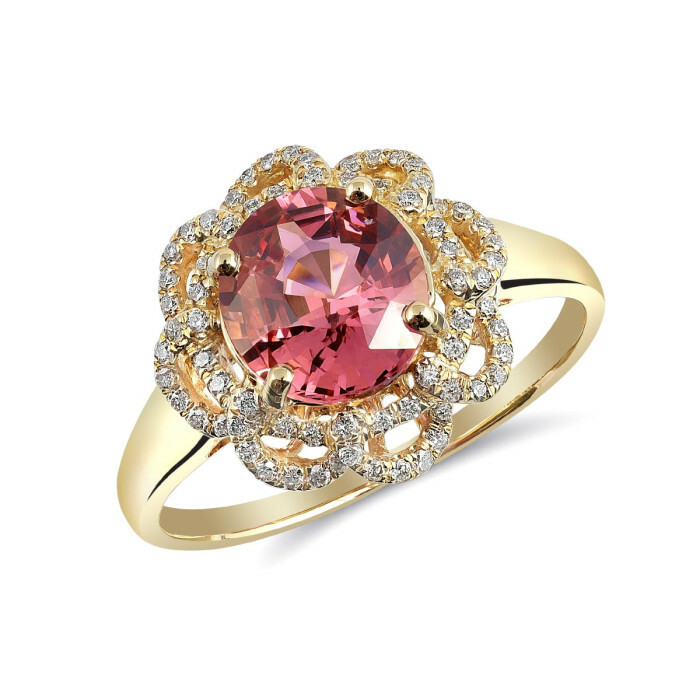 Make sure that the piece comes with the proper disclosures and that you understand how to care for the gemstones. 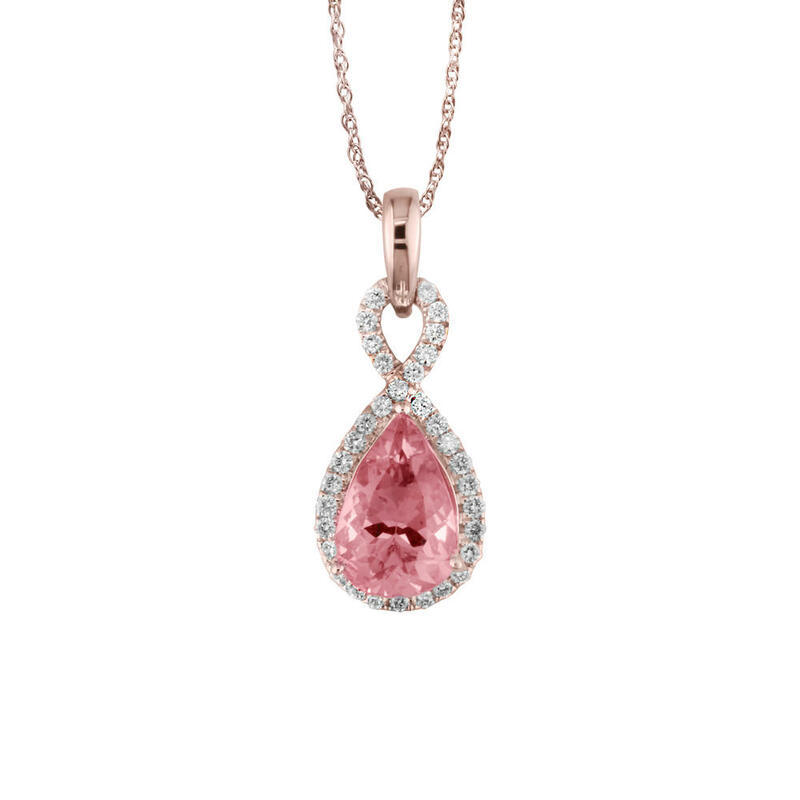 Ask your jeweler if the treatments are permanent. 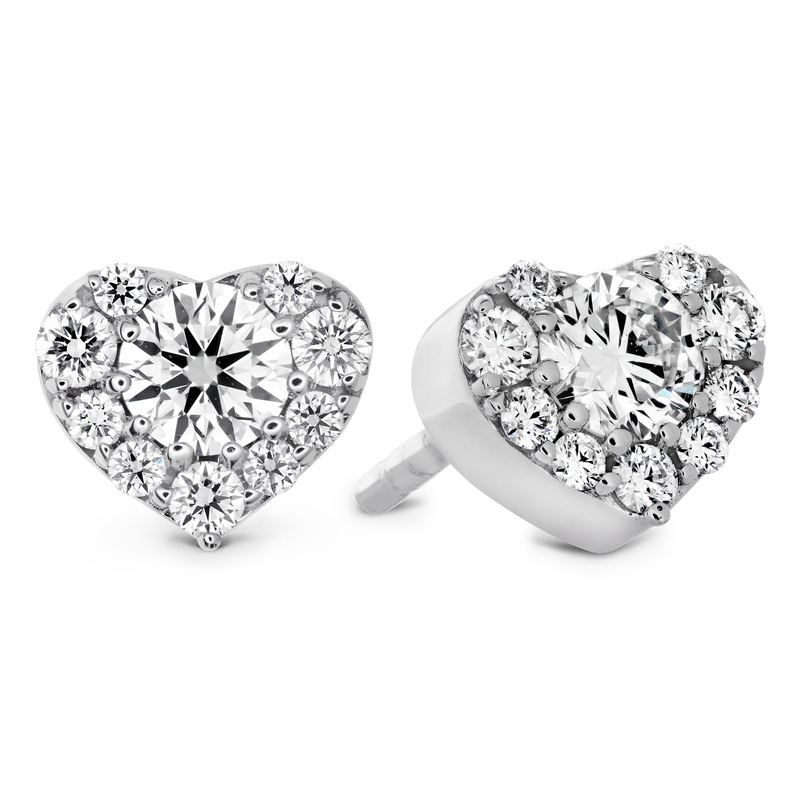 For example, fracture-filled diamonds can have their filling damaged by an ultrasonic cleaner or steam cleaning. 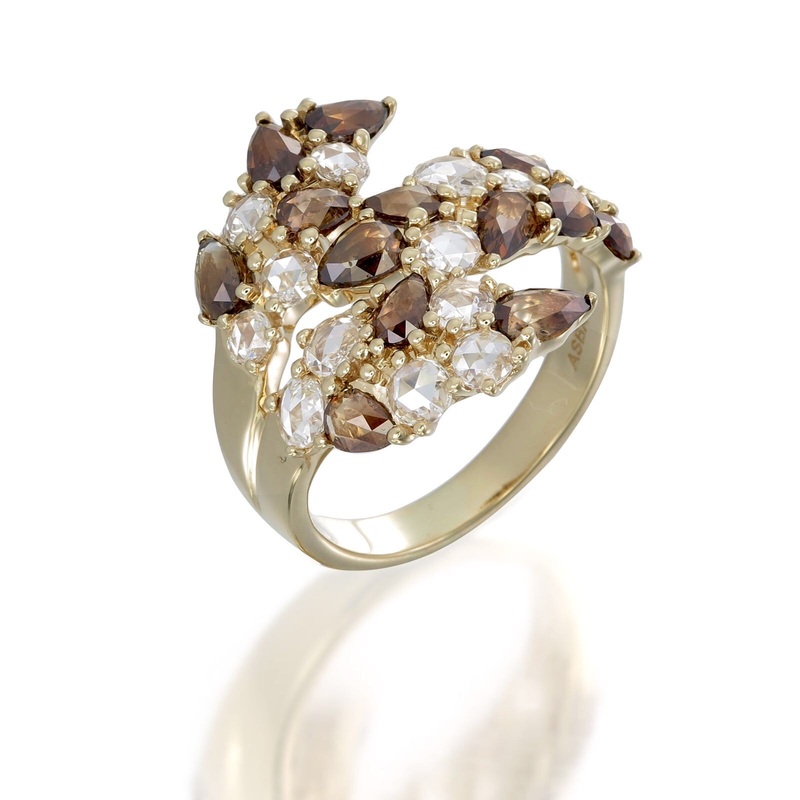 Some irradiated stones are susceptible to color change with high heats such as that from a jeweler’s torch. 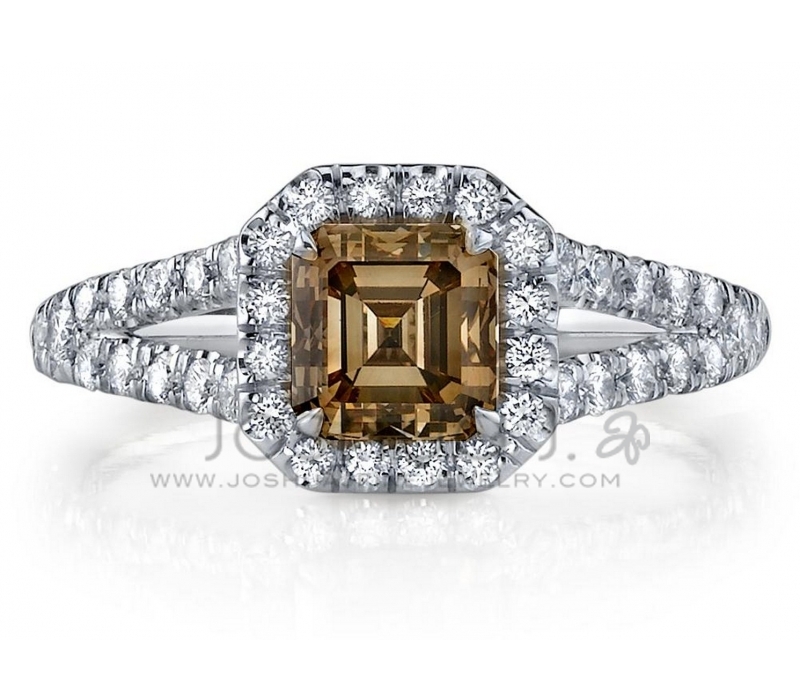 Ask for a diamond that comes with an independent diamond grading report, specifically, an AGS Laboratories diamond grading report. AGS Laboratories is a nonprofit lab created with a mission of consumer protection. 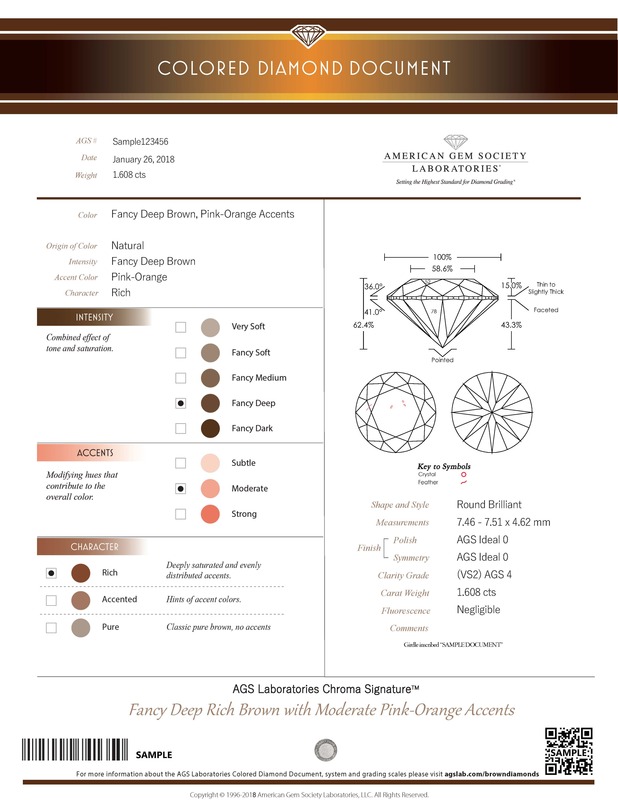 A diamond grading report from AGS Laboratories offers a simple, straightforward, and intuitive 0-10 scale and provides all the information you need to be comfortable with your diamond-buying decision. 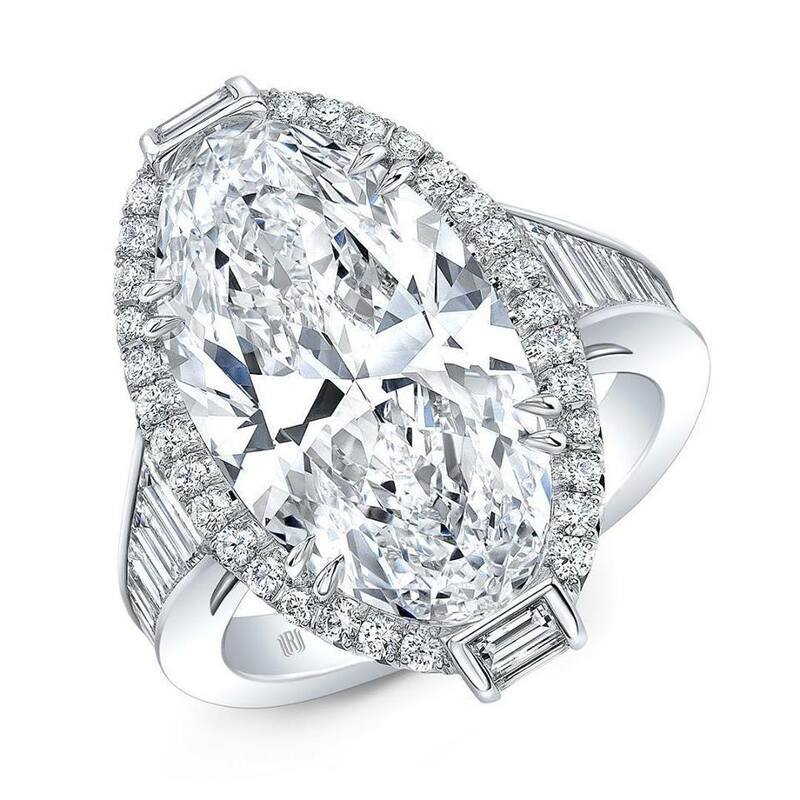 Visit americangemsociety.org/agsdiamondgrading to learn more. There are different kinds of appraisals for different purposes. The most common reason for an appraisal is to obtain insurance to ensure a replacement of equal quality and value in the event of damage or loss. For this purpose, either an Insurance Replacement Appraisal or Statement of Replacement Cost should be requested. The Insurance Replacement Appraisal represents the retail replacement cost with a comparable item. 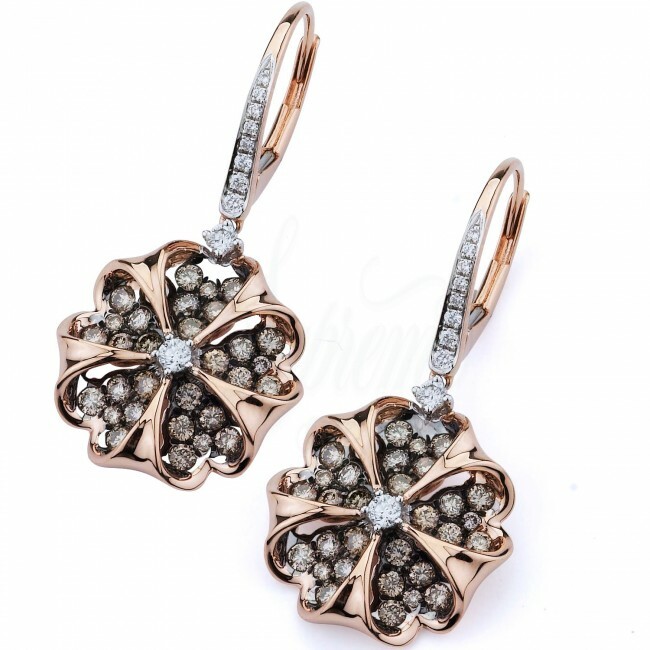 The Statement of Replacement Cost is provided by the actual seller of the item of jewelry and will report the actual selling price based on the normal selling price of that item in that particular store. In general, you want to get your appraisal updated every two years, or if you have a significant life change, like a change of address. 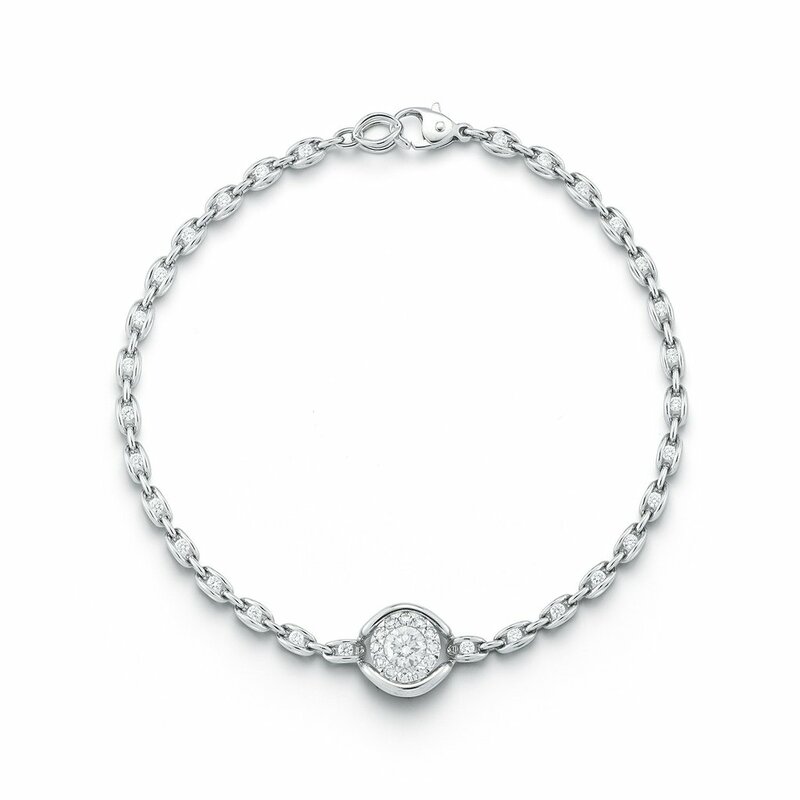 Of course, the best reason to get an appraisal is if the piece has significant meaning to you. To find an AGS-credentialed appraiser near you, visit americangemsociety.org/findanappraiser. If you have more questions, you can reach out to any AGS member jeweler or AGS-credentialed appraiser, and they’ll be happy to assist you. The American Gem Society wishes you a very happy holiday season, full of sparkle and wonderful surprises! 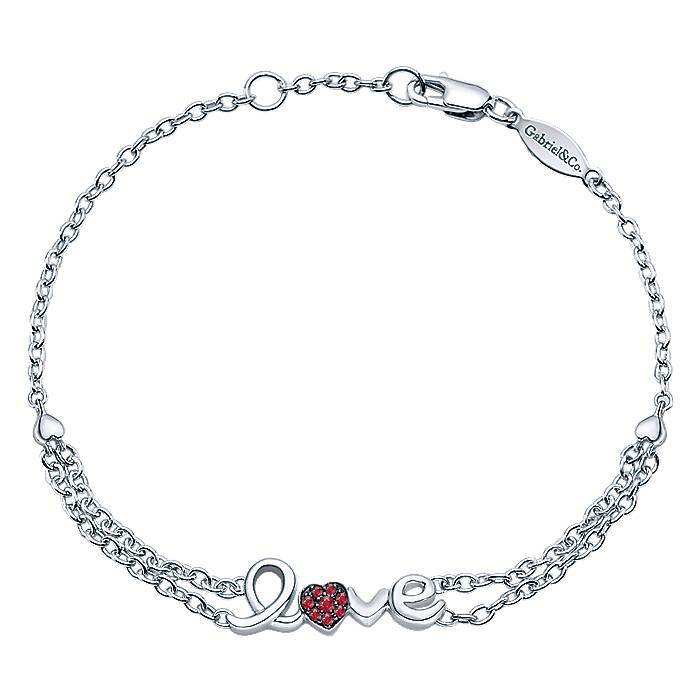 Losing an expensive or priceless item, like an engagement ring or family heirloom, is heartbreaking. Having the item insured does not bring it back, but it gives us peace of mind knowing we’re financially covered for the loss. 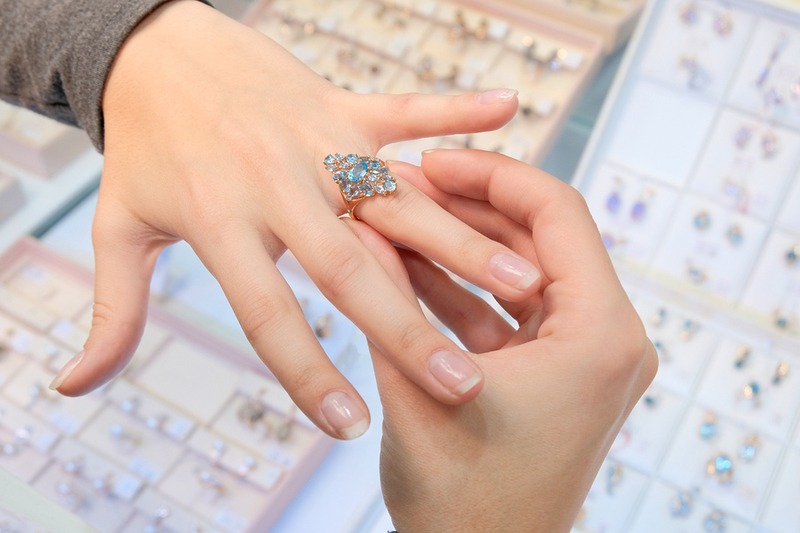 If your fine jewelry is insured with Jewelers Mutual Insurance Group, they offer a step-by-step guide on how to file a claim. Click here to learn more!